Open weekdays for breakfast and lunch from 7:30am - 2pm. Little Window is located in the Ice House Buildings, a historic group of brick and timber buildings in the northeast Waterfront District of San Francisco near Levi's Plaza. Built in 1914 for the National Ice and Cold Storage Company, it is one of the largest and oldest masonry constructions in the city. Up until 1980s, Ice House was a design showroom for the Interiors Mart of San Francisco. 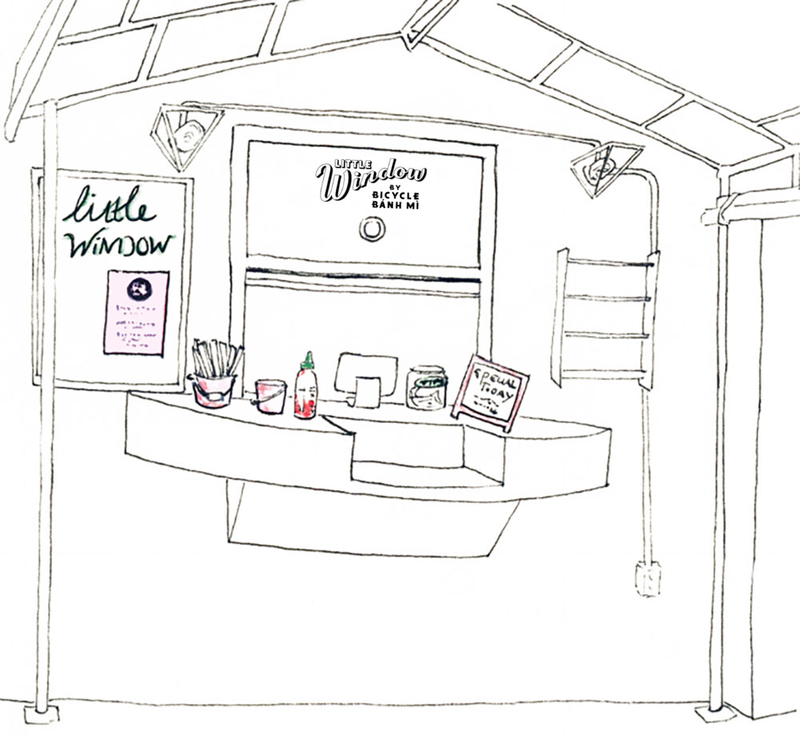 Today the buildings are home to Williams-Sonoma, Inc. and Little Window by Bicycle Bánh Mì. how many are you feeding?